Please note ICMTA Conferences and the organizing committee of the conference are not authorized to assist with the VISA process beyond providing the Notification of Invitation Letter issued by ICMTA Conferences and conference Committee Board. Should your application be denied, ICMTA Conferences and the organizing committee of the conference cannot change the decision of the Ministry of Foreign Affairs, nor will ICMTA Conferences and the organizing committee of the conference engage in discussion or correspondence with the MOFA or the Embassy on behalf of the applicant. The registration fee cannot be refunded when the VISA application of individual being denied. 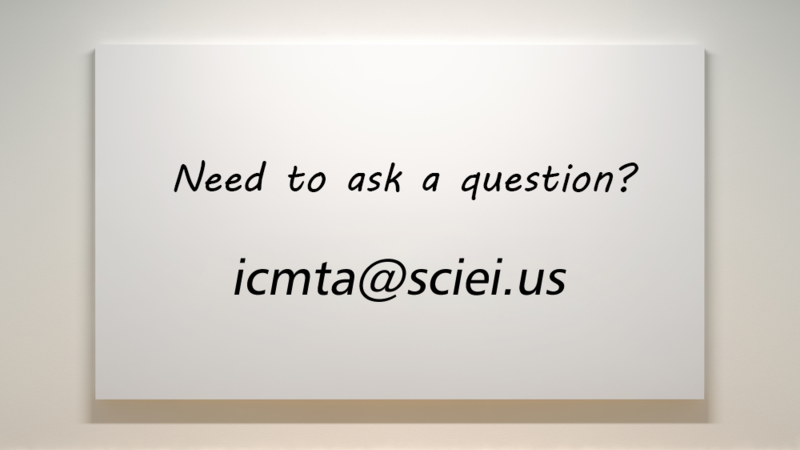 Interested Scholars please send your brief resume to icmta@sciei.us.